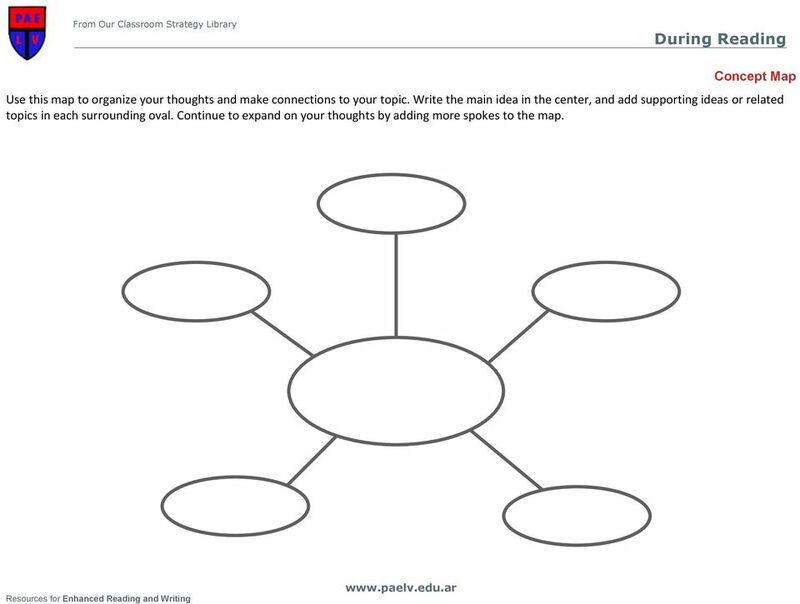 Download "From Our Classroom Strategy Library During Reading"
1 Concept Map Use this map to organize your thoughts and make connections to your topic. 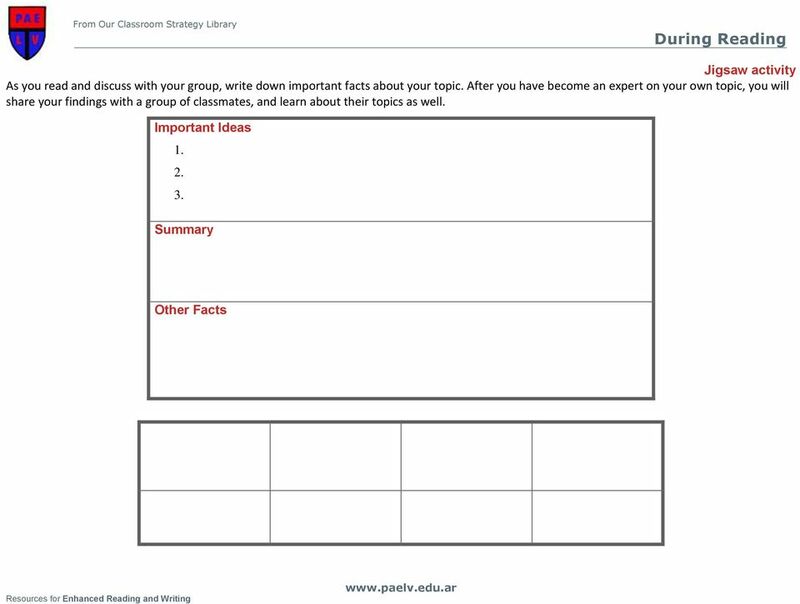 Write the main idea in the center, and add supporting ideas or related topics in each surrounding oval. Continue to expand on your thoughts by adding more spokes to the map. 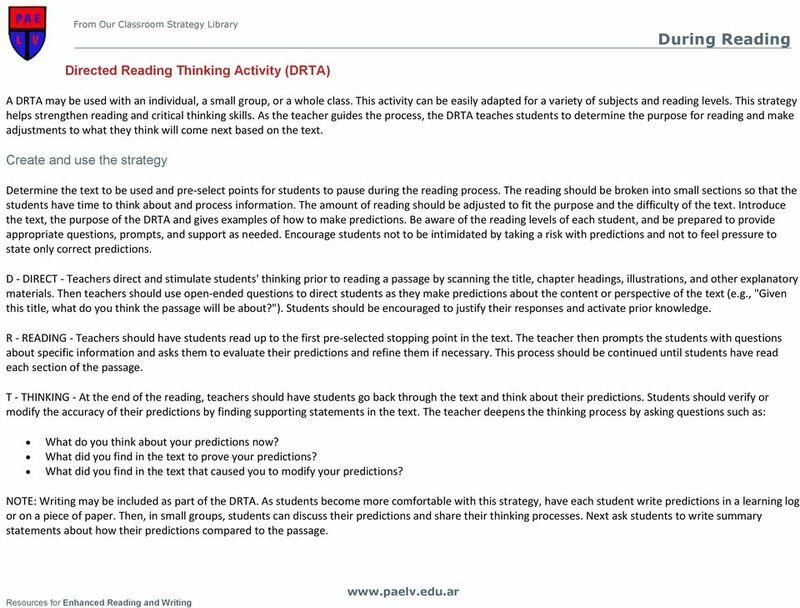 2 Directed Reading Thinking Activity (DRTA) A DRTA may be used with an individual, a small group, or a whole class. This activity can be easily adapted for a variety of subjects and reading levels. This strategy helps strengthen reading and critical thinking skills. As the teacher guides the process, the DRTA teaches students to determine the purpose for reading and make adjustments to what they think will come next based on the text. Create and use the strategy Determine the text to be used and pre-select points for students to pause during the reading process. 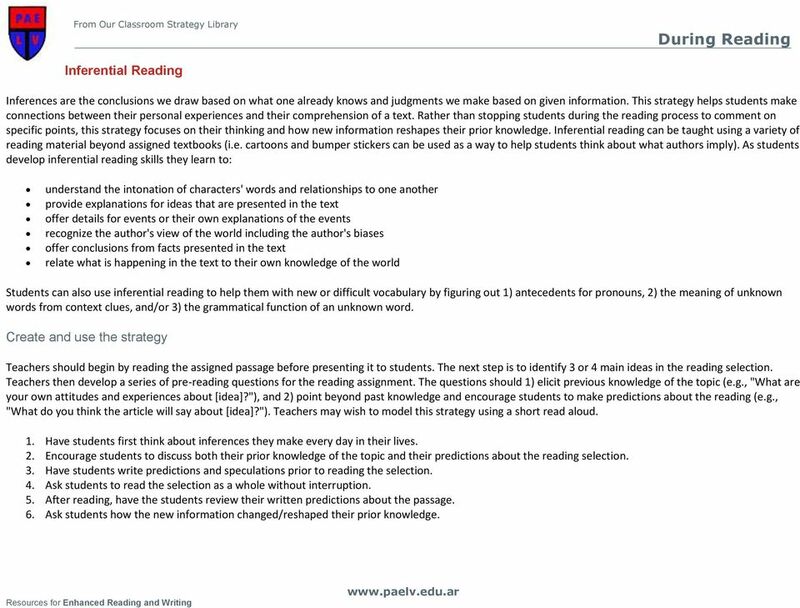 The reading should be broken into small sections so that the students have time to think about and process information. The amount of reading should be adjusted to fit the purpose and the difficulty of the text. Introduce the text, the purpose of the DRTA and gives examples of how to make predictions. 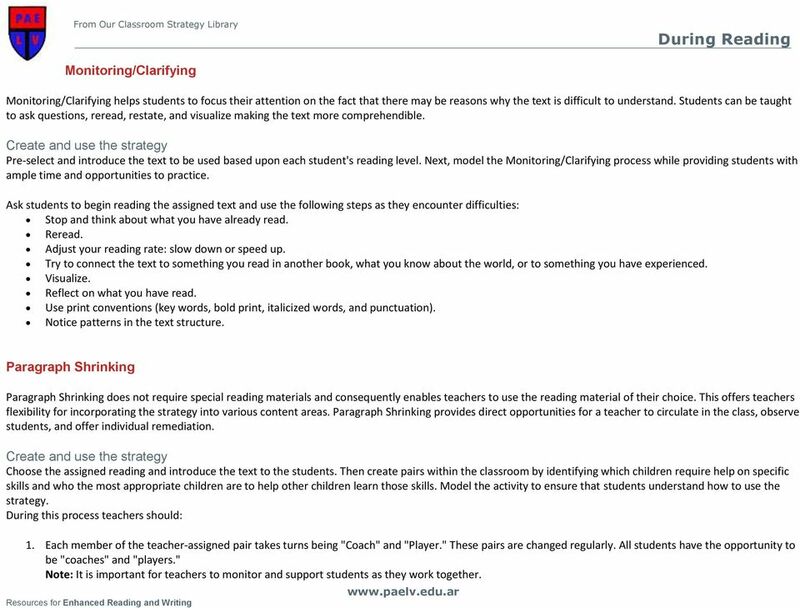 Be aware of the reading levels of each student, and be prepared to provide appropriate questions, prompts, and support as needed. Encourage students not to be intimidated by taking a risk with predictions and not to feel pressure to state only correct predictions. 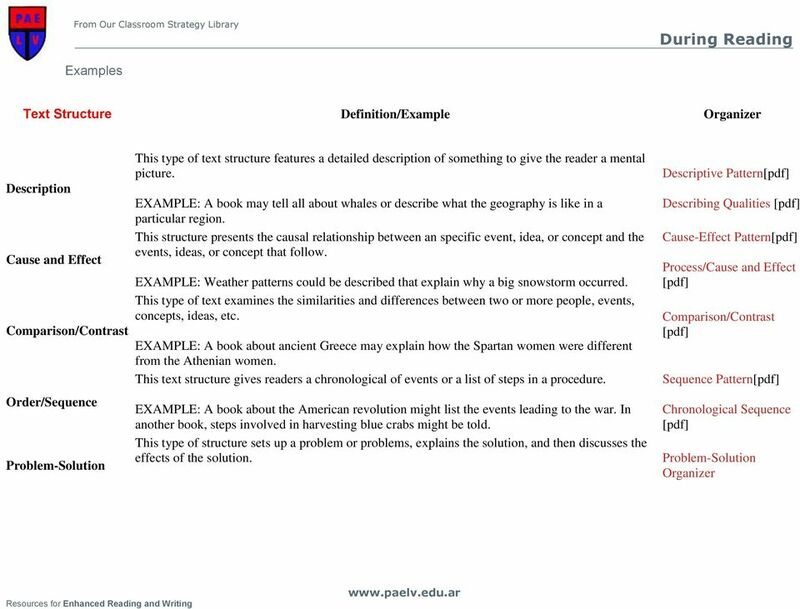 D - DIRECT - Teachers direct and stimulate students' thinking prior to reading a passage by scanning the title, chapter headings, illustrations, and other explanatory materials. Then teachers should use open-ended questions to direct students as they make predictions about the content or perspective of the text (e.g., "Given this title, what do you think the passage will be about?"). Students should be encouraged to justify their responses and activate prior knowledge. R - READING - Teachers should have students read up to the first pre-selected stopping point in the text. The teacher then prompts the students with questions about specific information and asks them to evaluate their predictions and refine them if necessary. This process should be continued until students have read each section of the passage. T - THINKING - At the end of the reading, teachers should have students go back through the text and think about their predictions. Students should verify or modify the accuracy of their predictions by finding supporting statements in the text. The teacher deepens the thinking process by asking questions such as: What do you think about your predictions now? What did you find in the text to prove your predictions? What did you find in the text that caused you to modify your predictions? NOTE: Writing may be included as part of the DRTA. As students become more comfortable with this strategy, have each student write predictions in a learning log or on a piece of paper. Then, in small groups, students can discuss their predictions and share their thinking processes. Next ask students to write summary statements about how their predictions compared to the passage. 4 Inferential Reading Inferences are the conclusions we draw based on what one already knows and judgments we make based on given information. This strategy helps students make connections between their personal experiences and their comprehension of a text. 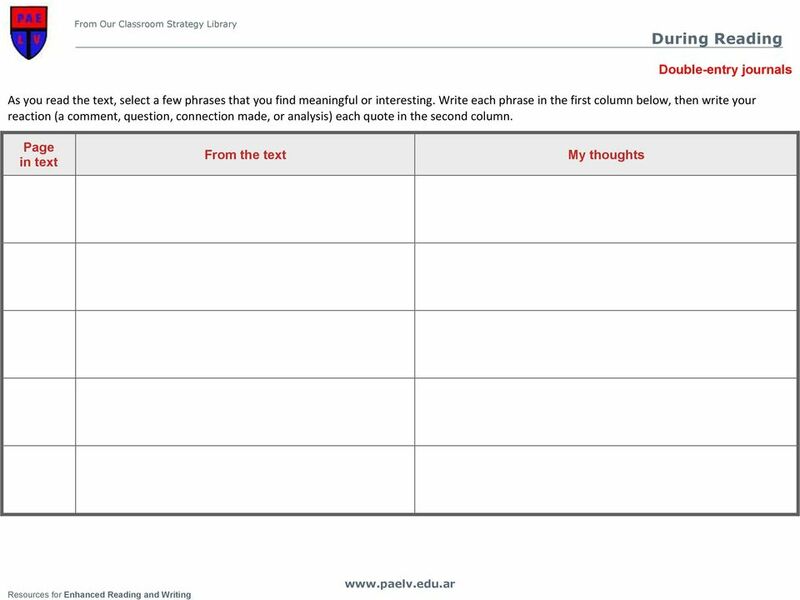 Rather than stopping students during the reading process to comment on specific points, this strategy focuses on their thinking and how new information reshapes their prior knowledge. Inferential reading can be taught using a variety of reading material beyond assigned textbooks (i.e. cartoons and bumper stickers can be used as a way to help students think about what authors imply). As students develop inferential reading skills they learn to: understand the intonation of characters' words and relationships to one another provide explanations for ideas that are presented in the text offer details for events or their own explanations of the events recognize the author's view of the world including the author's biases offer conclusions from facts presented in the text relate what is happening in the text to their own knowledge of the world Students can also use inferential reading to help them with new or difficult vocabulary by figuring out 1) antecedents for pronouns, 2) the meaning of unknown words from context clues, and/or 3) the grammatical function of an unknown word. Create and use the strategy Teachers should begin by reading the assigned passage before presenting it to students. The next step is to identify 3 or 4 main ideas in the reading selection. Teachers then develop a series of pre-reading questions for the reading assignment. The questions should 1) elicit previous knowledge of the topic (e.g., "What are your own attitudes and experiences about [idea]? "), and 2) point beyond past knowledge and encourage students to make predictions about the reading (e.g., "What do you think the article will say about [idea]?"). Teachers may wish to model this strategy using a short read aloud. 1. Have students first think about inferences they make every day in their lives. 2. Encourage students to discuss both their prior knowledge of the topic and their predictions about the reading selection. 3. Have students write predictions and speculations prior to reading the selection. 4. Ask students to read the selection as a whole without interruption. 5. After reading, have the students review their written predictions about the passage. 6. Ask students how the new information changed/reshaped their prior knowledge. 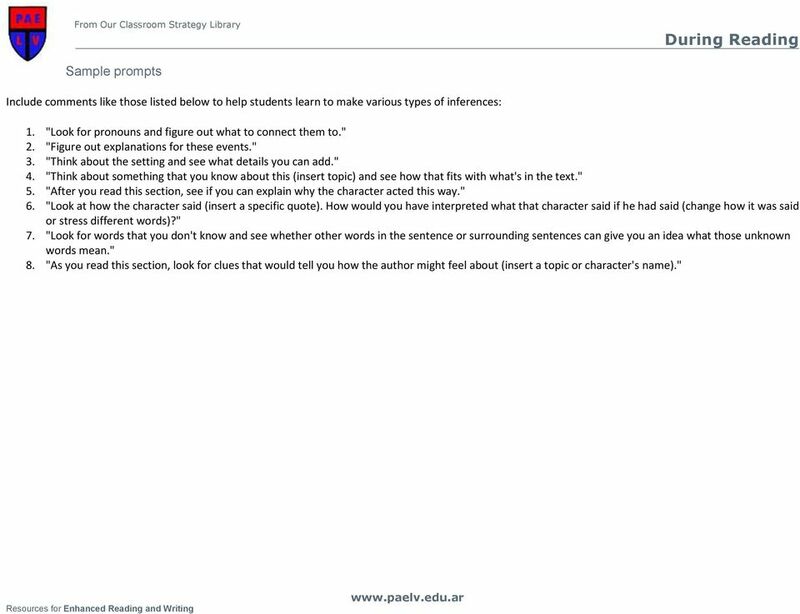 5 Sample prompts Include comments like those listed below to help students learn to make various types of inferences: 1. "Look for pronouns and figure out what to connect them to." 2. "Figure out explanations for these events." 3. "Think about the setting and see what details you can add." 4. "Think about something that you know about this (insert topic) and see how that fits with what's in the text." 5. "After you read this section, see if you can explain why the character acted this way." 6. "Look at how the character said (insert a specific quote). How would you have interpreted what that character said if he had said (change how it was said or stress different words)?" 7. "Look for words that you don't know and see whether other words in the sentence or surrounding sentences can give you an idea what those unknown words mean." 8. "As you read this section, look for clues that would tell you how the author might feel about (insert a topic or character's name)." 8 Monitoring/Clarifying Monitoring/Clarifying helps students to focus their attention on the fact that there may be reasons why the text is difficult to understand. Students can be taught to ask questions, reread, restate, and visualize making the text more comprehendible. 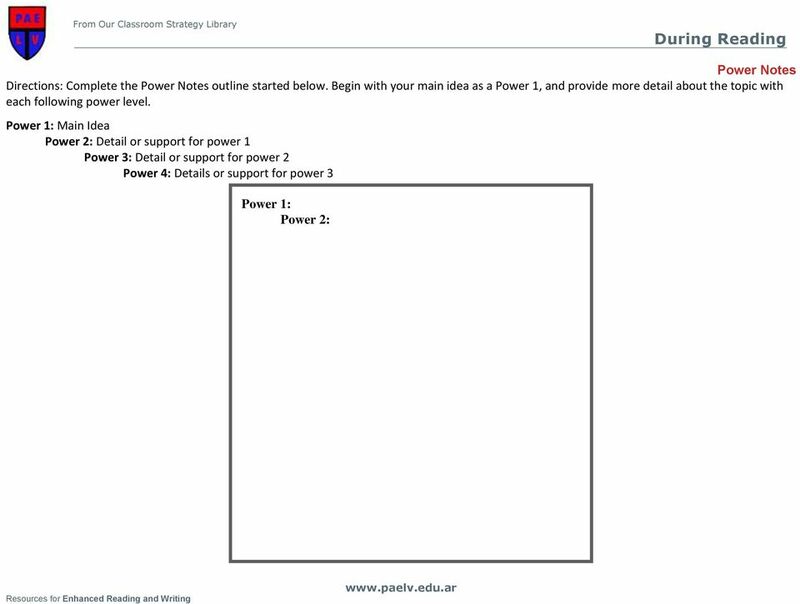 Create and use the strategy Pre-select and introduce the text to be used based upon each student's reading level. Next, model the Monitoring/Clarifying process while providing students with ample time and opportunities to practice. 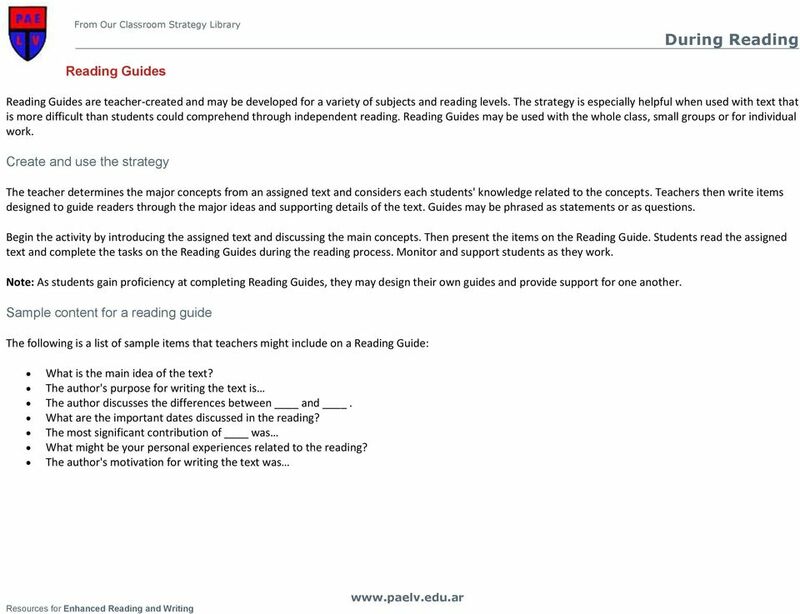 Ask students to begin reading the assigned text and use the following steps as they encounter difficulties: Stop and think about what you have already read. Reread. Adjust your reading rate: slow down or speed up. Try to connect the text to something you read in another book, what you know about the world, or to something you have experienced. Visualize. Reflect on what you have read. Use print conventions (key words, bold print, italicized words, and punctuation). Notice patterns in the text structure. Paragraph Shrinking Paragraph Shrinking does not require special reading materials and consequently enables teachers to use the reading material of their choice. 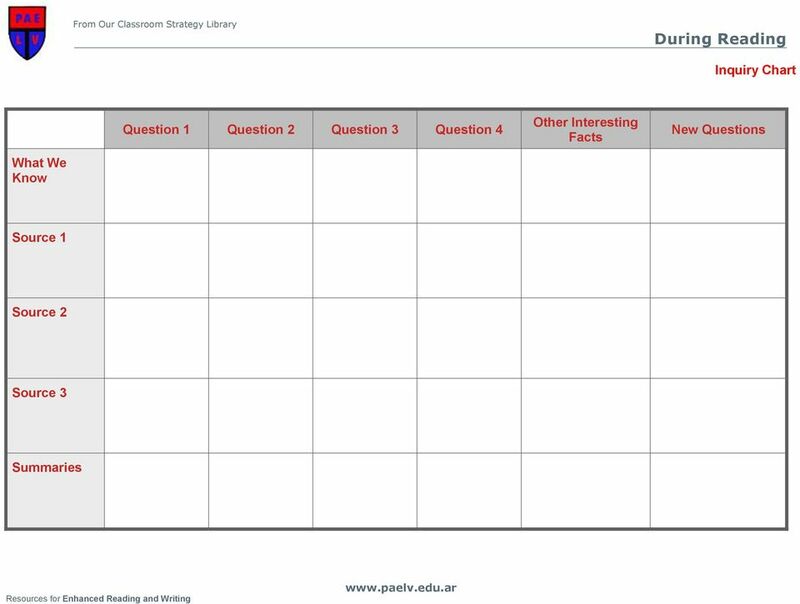 This offers teachers flexibility for incorporating the strategy into various content areas. Paragraph Shrinking provides direct opportunities for a teacher to circulate in the class, observe students, and offer individual remediation. 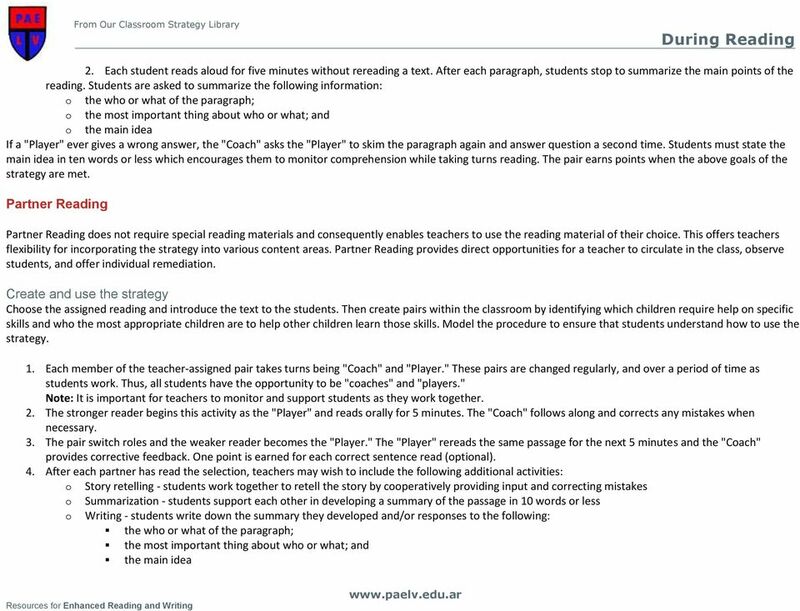 Create and use the strategy Choose the assigned reading and introduce the text to the students. Then create pairs within the classroom by identifying which children require help on specific skills and who the most appropriate children are to help other children learn those skills. Model the activity to ensure that students understand how to use the strategy. During this process teachers should: 1. Each member of the teacher-assigned pair takes turns being "Coach" and "Player." These pairs are changed regularly. All students have the opportunity to be "coaches" and "players." Note: It is important for teachers to monitor and support students as they work together. 14 Text Structure Text structure refers to how the information within a written text is organized. This strategy helps students understand that a text might present a main idea and details; a cause and then its effects; and/or different views of a topic. Teaching students to recognize common text structures can help students monitor their comprehension. Teachers can use this strategy with the whole class, small groups, or individually. Students learn to identify and analyze text structures which helps students navigate the various structures presented within nonfiction and fiction text. As a follow up, having students write paragraphs that follow common text structures helps students recognize these text structures when they are reading. 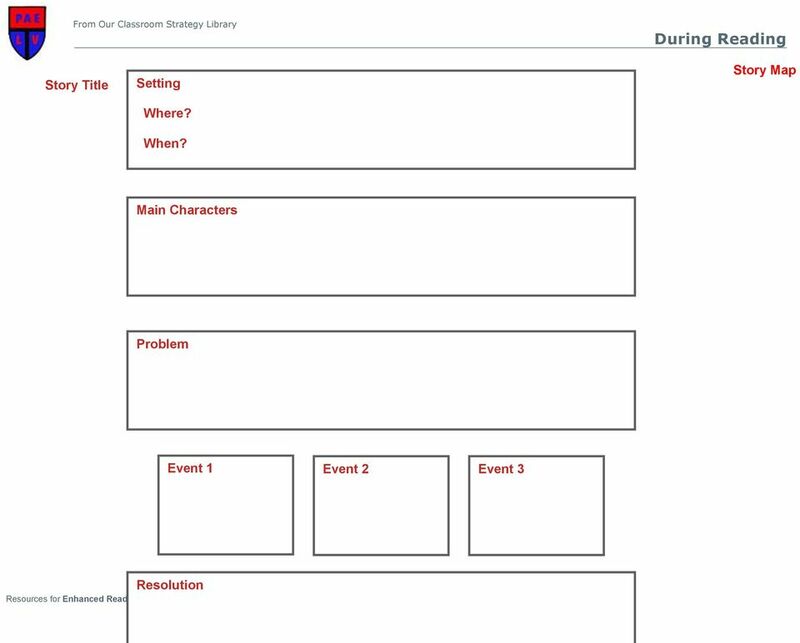 Create and Use the Strategy To create the text structure strategy teachers should: 1. Choose the assigned reading and introduce the text to the students. 2. Introduce the idea that texts have organizational patters called text structures. 3. Introduce the following common text structures (see chart below for more detailed information): o description, o sequence, o problem and solution, o cause and effect, and o compare and contrast. 4. Introduce and model using a graphic organizer to chart the text structure. 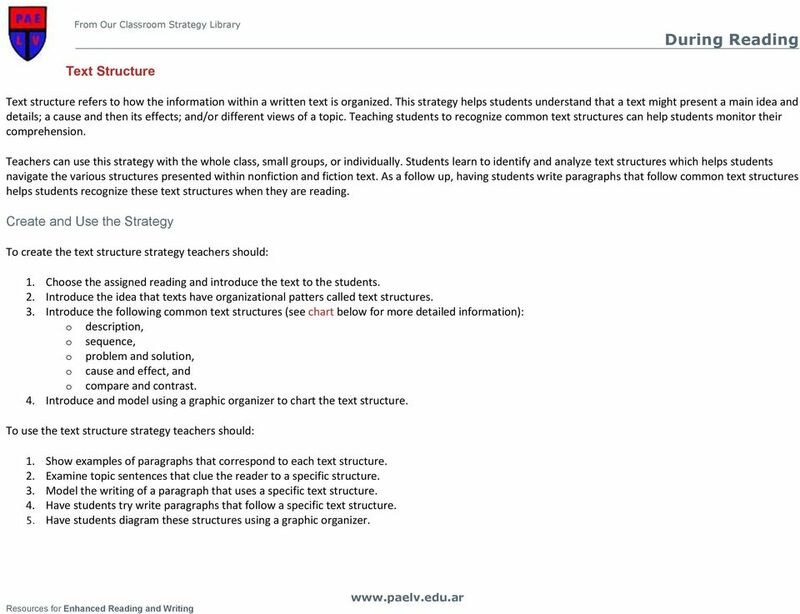 To use the text structure strategy teachers should: 1. Show examples of paragraphs that correspond to each text structure. 2. Examine topic sentences that clue the reader to a specific structure. 3. Model the writing of a paragraph that uses a specific text structure. 4. Have students try write paragraphs that follow a specific text structure. 5. Have students diagram these structures using a graphic organizer. 16 Word Hunts Word Hunts are used to enhance students' vocabulary growth. Teachers ask students to look for words and patterns in reading materials based upon selected features. Word Hunts focus on the structure and meaning of words by turning students' attention to spelling patterns and root words. Opportunities for students to work with words are important to enhancing students' vocabularies, as well as increasing their comprehension. 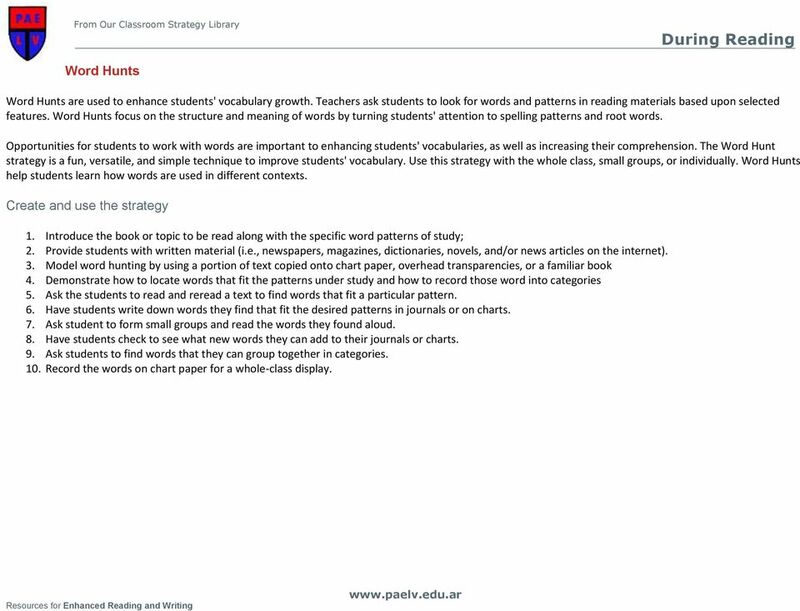 The Word Hunt strategy is a fun, versatile, and simple technique to improve students' vocabulary. Use this strategy with the whole class, small groups, or individually. Word Hunts help students learn how words are used in different contexts. Create and use the strategy 1. Introduce the book or topic to be read along with the specific word patterns of study; 2. Provide students with written material (i.e., newspapers, magazines, dictionaries, novels, and/or news articles on the internet). 3. Model word hunting by using a portion of text copied onto chart paper, overhead transparencies, or a familiar book 4. 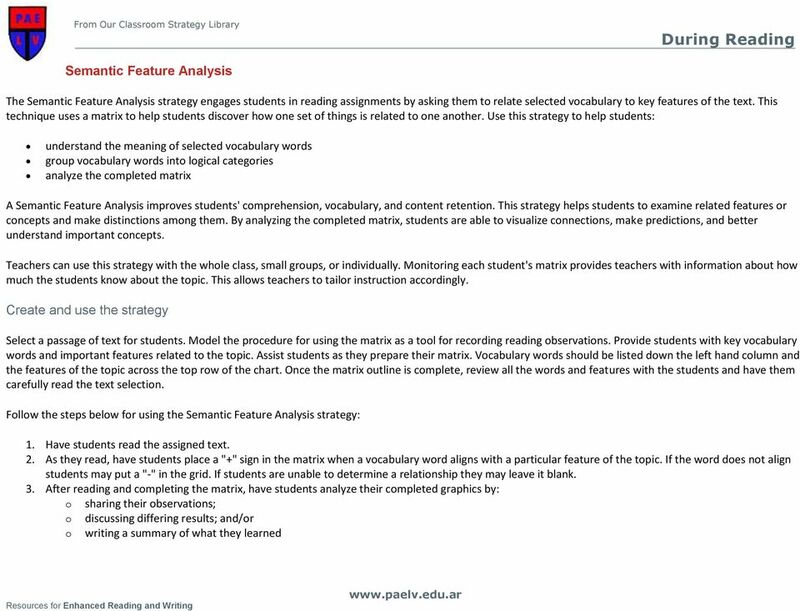 Demonstrate how to locate words that fit the patterns under study and how to record those word into categories 5. Ask the students to read and reread a text to find words that fit a particular pattern. 6. Have students write down words they find that fit the desired patterns in journals or on charts. 7. Ask student to form small groups and read the words they found aloud. 8. Have students check to see what new words they can add to their journals or charts. 9. Ask students to find words that they can group together in categories. 10. Record the words on chart paper for a whole-class display. "Why is it important for ELL students to be active in listening, speaking, reading and writing on a daily basis?" ANCHOR CHARTS FOR READING SKILLS These materials were designed as supplemental instruction for several FCAT tested skills. There is a one-page definition in student-friendly language, explaining each skill. Introduction The division-level Literacy Achievement Team developed the Literacy Classroom Look-fors in response to the division s work with the Teacher Performance Appraisal and Classroom Walkthroughs.